After 30 hours of traveling, we got back this morning from a two-week African trip, our first. Not everything went according to plan, but it was an exciting adventure. 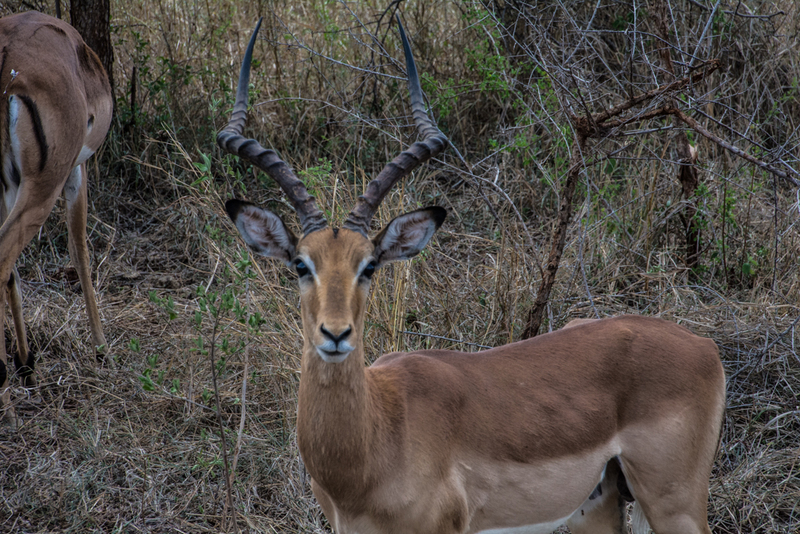 In this post, I recount a few high points of our safari in South Africa, including being charged by rhinos, and next week I plan to post on scuba diving in Mozambique. We stayed at Grand Kruger Lodge, in Marloth Park, on the south end of Kruger National Park, about half an hour from the Crocodile Bridge gate. Our room was a grass-roofed hut, with a deck for looking out on the monkeys, kudus, and warthogs. The service was especially friendly and responsive. They weren’t accustomed to hosting vegetarians, but they managed to feed us well. Before sunrise each morning our guide would load us onto an open, elevated vehicle and take us into Kruger for several hours to look about. 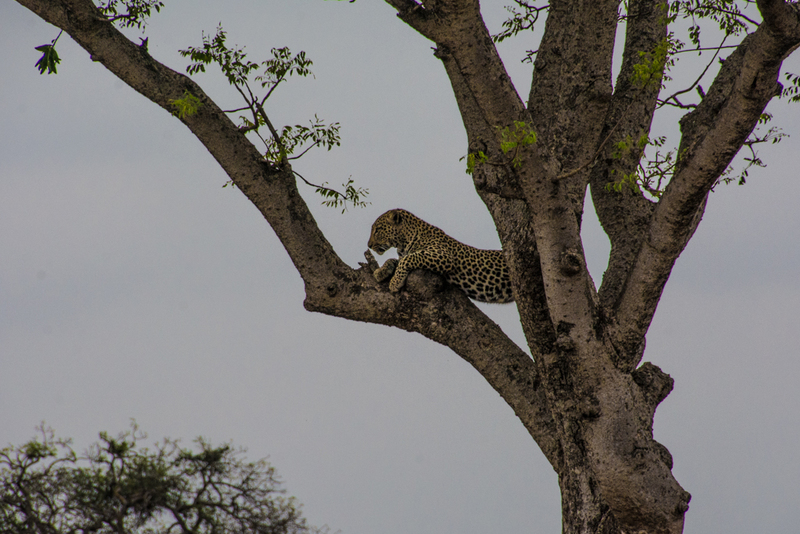 The first day we had good sitings of “the Big Five” — elephant, rhinoceros, water buffalo,lion, and leopard — as well as giraffes, zebras, hippos, crocodiles, impalas, kudus, wildebeests, warthogs, baboons, a python, hyenas, and others. At times the animals were really close. It was thrilling to see these animals in their native environments for the first time, but it also made me want to experience more. 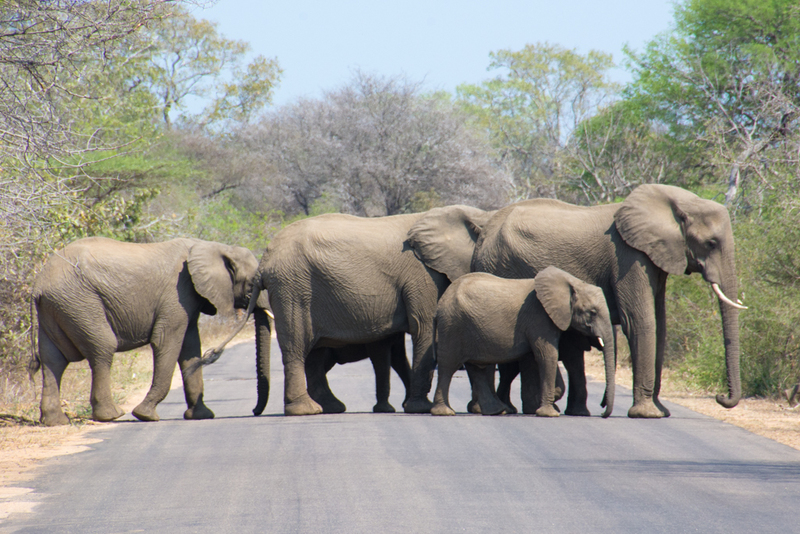 Our guides were cheerful and knowledgeable, and seemed to enjoy watching the animals as much as we did. Gradually they got us to notice other things, like the gnarled trees, thorny bushes, and other plants equipped for the harsh, dry environment. We learned about various dung beetles and mound-building termites. 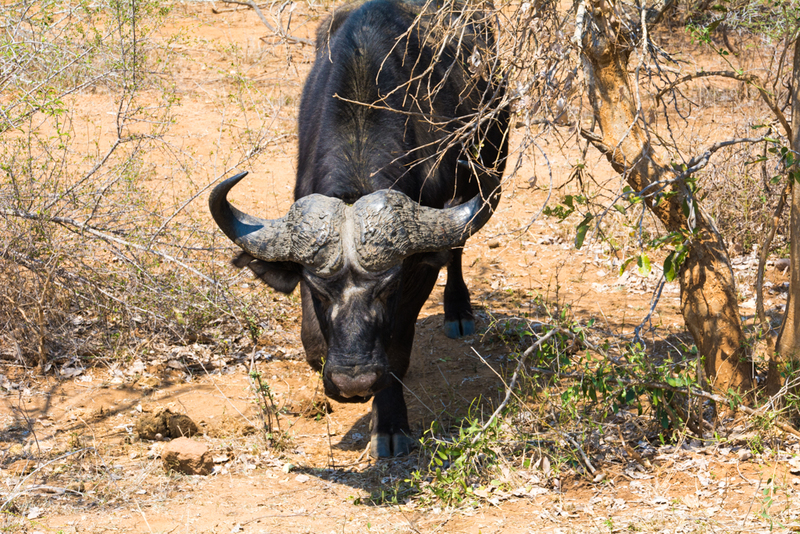 They got us to look at elephant dung piles as an entire community of insects and other small creatures, and rhino dung pits as communication devices for rhinos who might visit from a neighboring territory. On our second morning, we did a “bush walk,” or hike with two guides. Each carried rifles, and instructed us solemnly to stay together, keep quiet, and follow instructions. 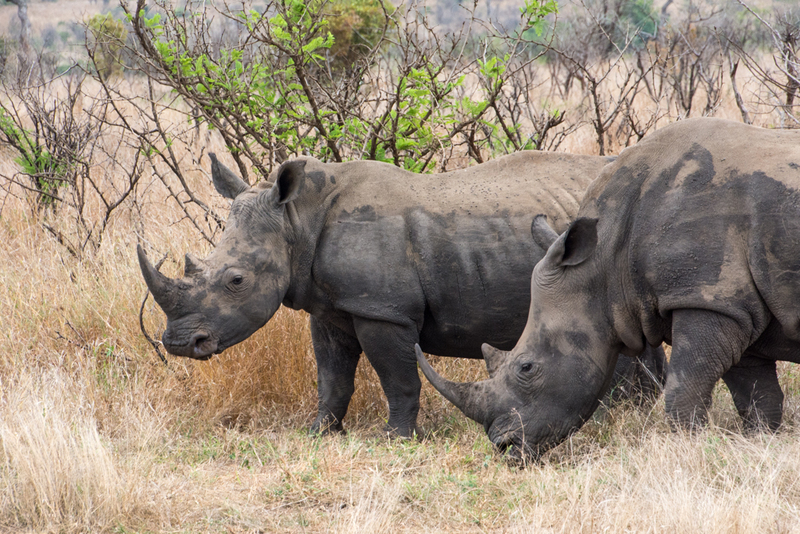 After walking for five minutes, we spotted two white rhinos through the trees about 50 yards out. We moved forward to get a better look, and the rhinos looked up. They started moving toward us, and suddenly started to charge at us. Our guides got us behind some sticks, and as the rhinos got close they shouted and threw logs. With about 20 yards left, the animals veered off. We listened for a while to the pounding of their hooves receding. My heart kept pumping hard for some time. That evening we went out for an evening drive. 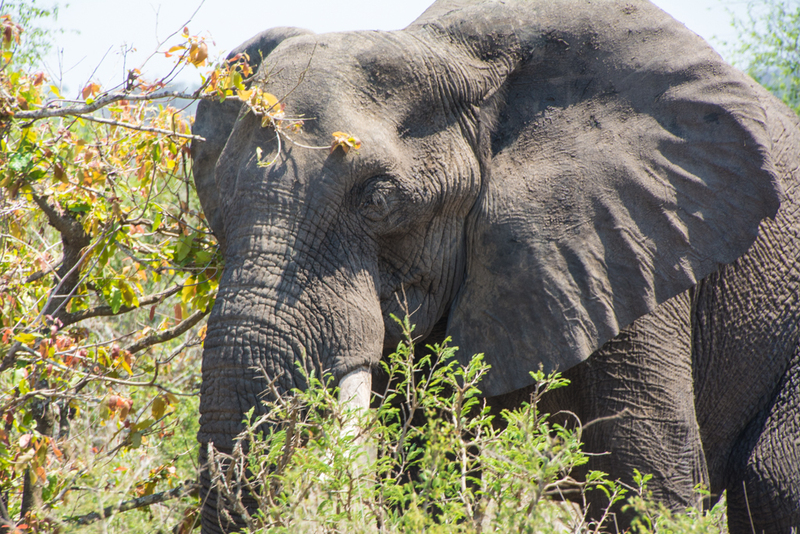 Among other things, we saw a baby elephant who’d just been born that day, along with its mom and aunts. We saw a lion couple lying in the road, apparently resting between mating bouts. 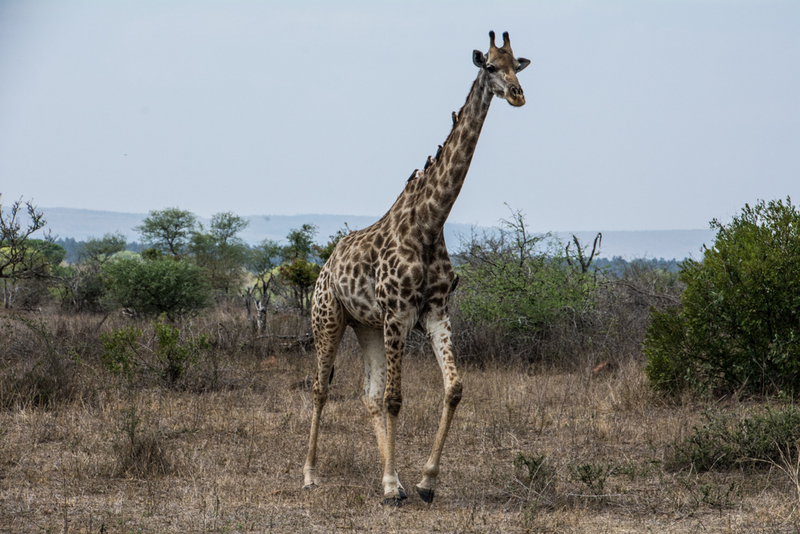 We had another close view of another white rhino, and more good views of giraffes, zebras, wildebeests, steenboks, and impalas. Our third and last safari day, France, our driver, tried to locate a black rhino, without success. 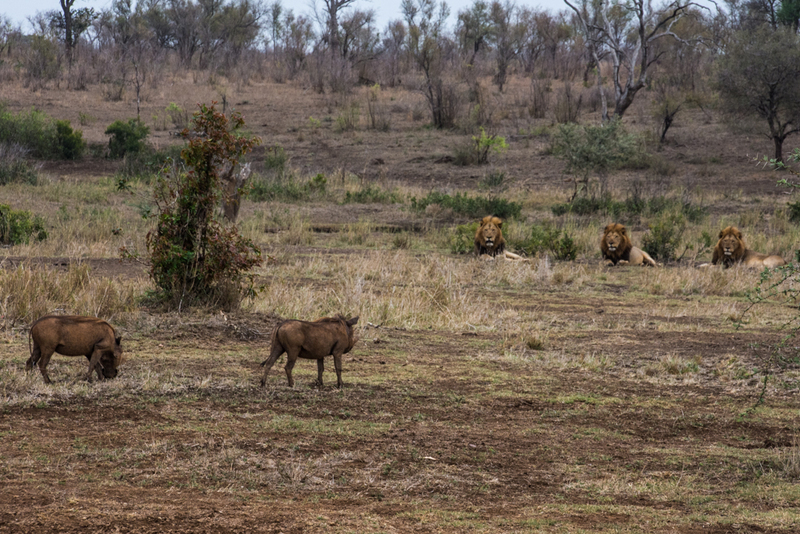 But we did see all the Big Five again, including a fine view of a leopard lounging, and a group of male lions in a row watching a couple of warthogs. 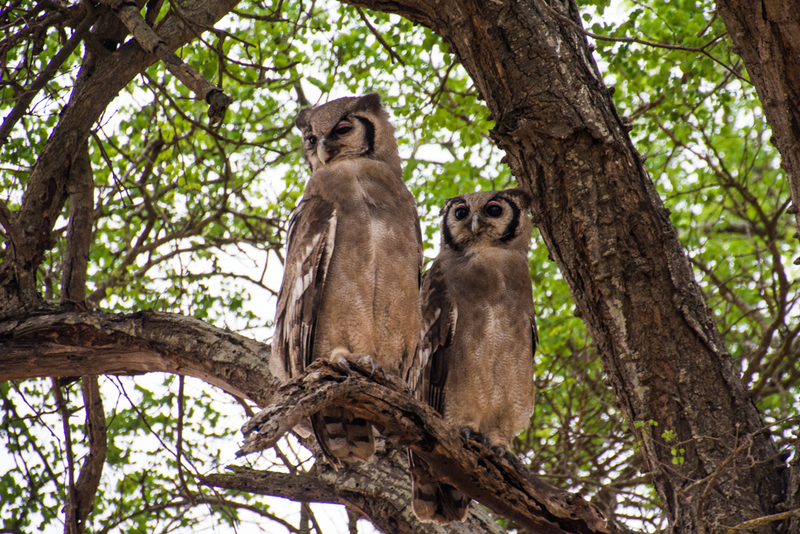 We also saw some notable birds, including Verreaux’s eagle owls (a pair, close), a secretary bird, a pair of ostriches, fish eagle, saddle-billed stork, snake eagle, red-billed hornbills, and a kori bustard. Listing the animals gives some sense of the varied environment, but it certainly does not do justice to the richness of the experience of being with them. I felt so happy to be close to the elephants having their lunch, and the kudus having theirs. That all these amazing creatures are still here, in spite of all, gives me hope.